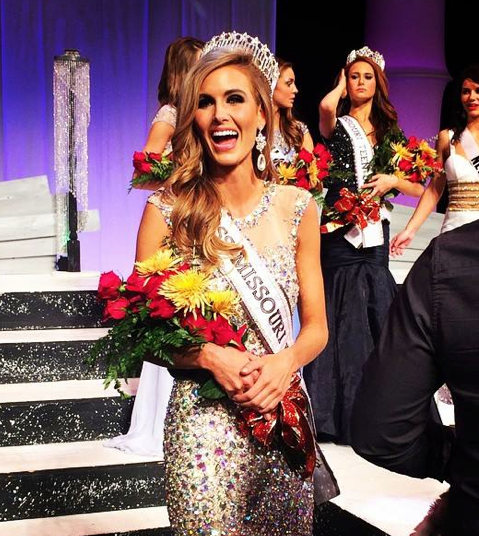 24 year old Rebecca Dunn was recently crowned Miss Missouri USA 2015. She stands 1.73m tall and will represent her state at Miss USA 2015. Gorgeous gown - she should keep it for USA finals!